Hoorah, new issue for June & July 2013! - Frock Magazine for crossdressers, transvestites, transsexuals and transgender people everywhere. Oh, and Drag artistes too! Home Covers Hoorah, new issue for June & July 2013! Hoorah, new issue for June & July 2013! 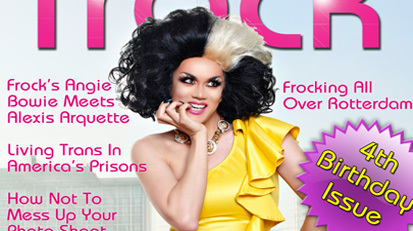 Hoorah, the new issue of Frock Magazine, your fave free transgender periodical, for June & July 2013 is now ready for you to read at http://frockmagazine.com/frock/. Go read it now!